Mickey's Not So Scary Halloween Party has returned to the Magic Kingdom at the Walt Disney World Resort for 23 nights of Halloween fun. 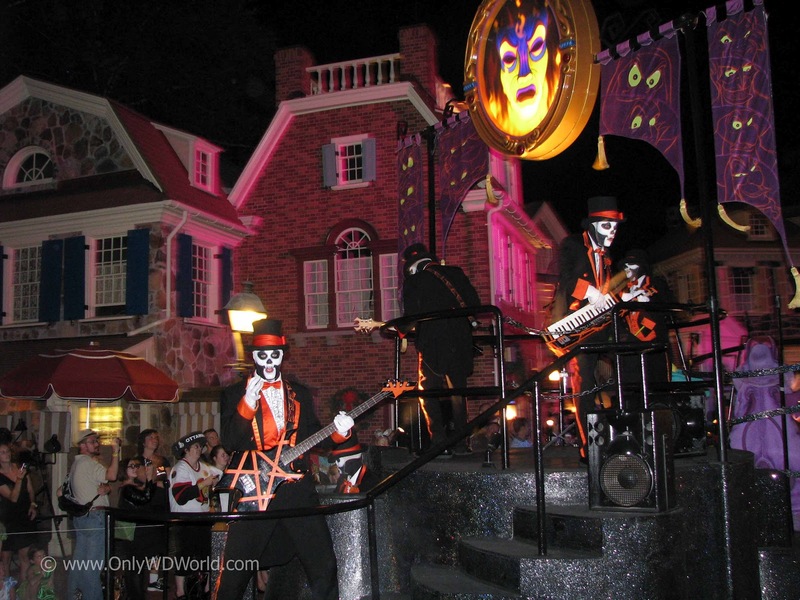 This family friendly Halloween party is suitable for all ages and it also is one of the very few times where guests are encouraged to wear costumes in the Magic Kingdom theme park. 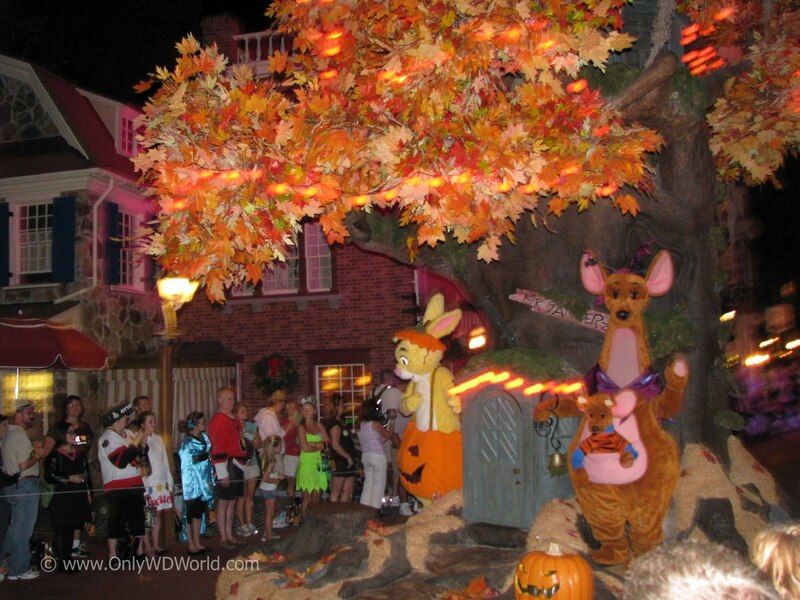 In what is now a fall tradition Disney World has expanded the Halloween season to the middle of September to allow more Disney World Guests to partake in this fun event. 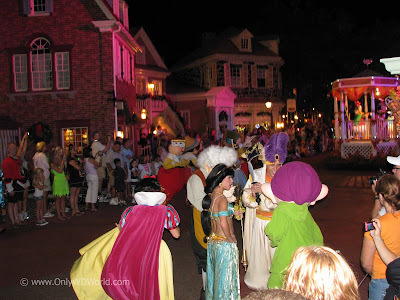 Party goers young and old are encouraged to dress up in costume and have fun along with all of your favorite Disney Characters who are also in costume for the party. 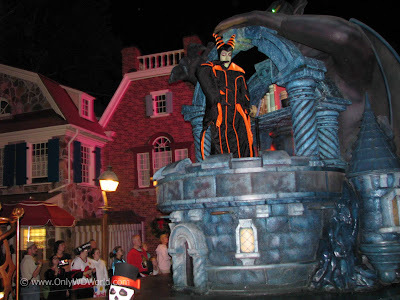 The Magic Kingdom certainly gets a "Halloween" make-over that is apparent during the day, but it looks extra special at night as the decorations, jack-o-lanterns, and other effects look their best in the night time lighting. 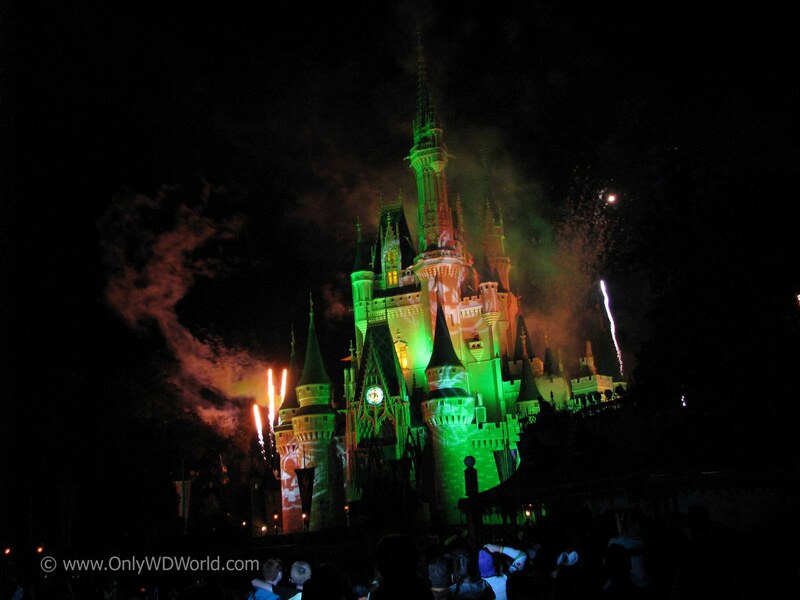 Even the night time fireworks presentation is re-worked to the Halloween theme (called Happy HalloWishes) that makes it extra special. 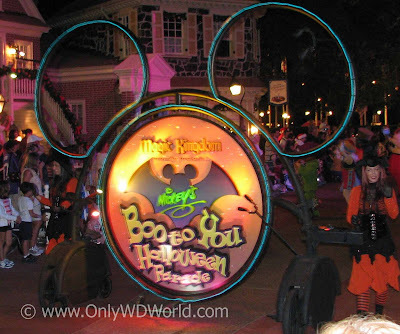 The highlight of the evening is the Boo To You Parade which is shown twice at each party. 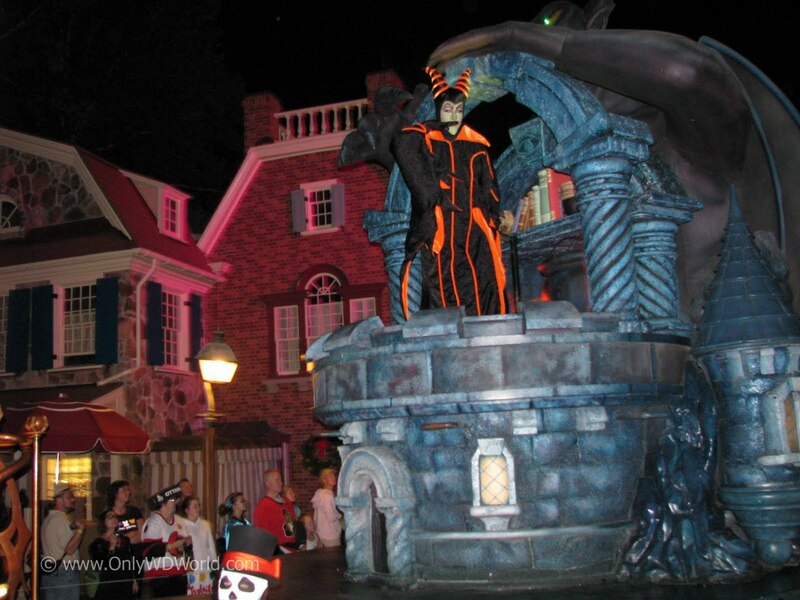 Here you will see special floats and the Disney Characters in special Halloween Costumes. The Haunted Mansion also gets special representation in this parade with multiple floats. 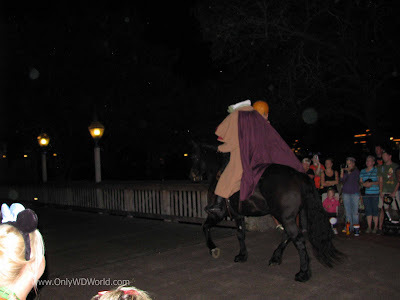 The parade always starts off with a ride of the headless horseman. Disney Characters abound during this parade both on the floats and walking the parade route. 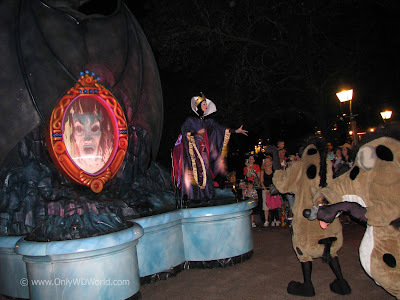 MNSSHP is also a great time to see your favorite Disney Villains. They appear to be in an especially good mood during this event and there are chances during the evening to get your photo taken with them. 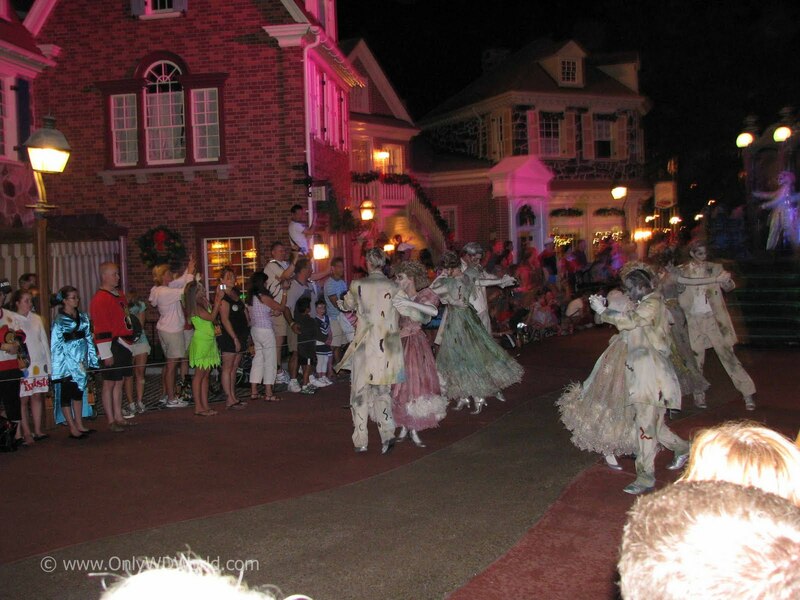 The ghoulish dancers that recreated the ballroom dancing of the Haunted Mansion precede the special floats dedicated to the featured Magic Kingdom Attraction for Halloween. Speaking of attractions, most of the park attractions are open throughout the party, so make sure that your costumes are safe to wear on the attractions. This party is what is called a "hard ticketed event." This means that a separate admission is required and your normal Park Admission will not get you in. The Magic Kingdom will close at roughly 7:00 pm each evening as the party begins. All who do not have a ticket will be asked to leave the park at the time. 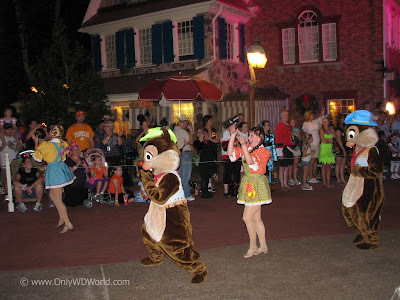 The MNSSHP will run from 7:00 pm until 12:00 Midnight. Like most Disney World Special Events, we would not recommend this for first time Disney World Guests. The reason is that there is so much of Disney World to take in you will already by overwhelmed and there is not a need to go to the extra expense during that initial visit. If you have been to Disney World a couple of times, then this party may be what you are looking for in terms of something different to try and experience. The ticket prices are steep, but it is a fun night. It is most enjoyed when you are in costume. It is not required, but if you are spending that much money to go to a Halloween Party, then by all means go in costume and enjoy yourself. 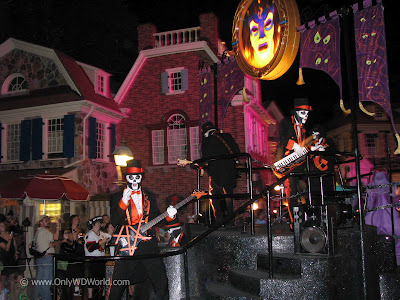 The only Haunted House during the party is the Disney World Haunted Mansion. You won't find anything gory or bloody. The only scares are the Disney Villains being themselves. Lastly, we would be remiss if we didn't mention the trick-or-treating. 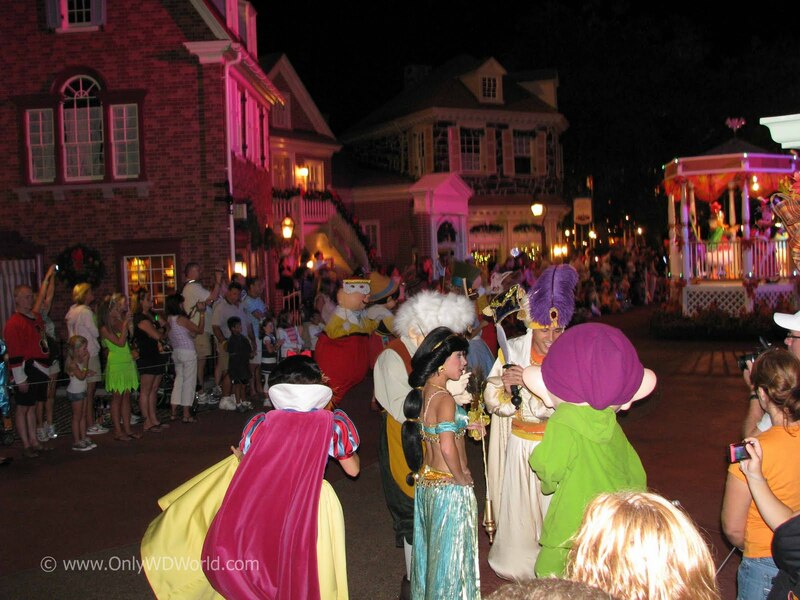 Everyone, the young and the young at heart is given a bag for trick-or-treating and is welcome to go through the designated lines throughout the park to receive candy. You do NOT need to be accompanied by a child to receive candy. The best advice is to go and have fun. It is a party after all! 0 comments to "Mickey's Not So Scary Halloween Party Returns To Disney World"